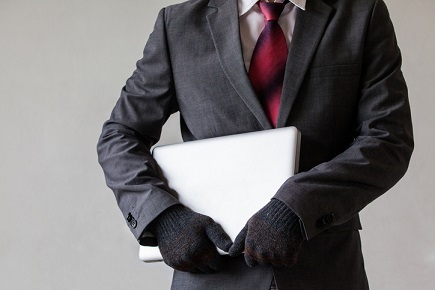 Group benefits fraud remains a serious issue in Canada, as recent incidents indicate. Last year, a Toronto firefighter was sentenced to six months in prison for submitting $32,000 in forged receipts for healthcare and other related services. Bradley Evaschuk submitted 23 fraudulent health benefits claims and 300 forged invoices between February 2009 and October 2013, receiving more than $23,000 in claims for expenses that never incurred, or services he never received. However, perhaps the most damning case of benefits fraud in recent memory is the one involving the Toronto Transit Commission (TTC). This year, the TTC fired 250 employees after discovering that they were all involved in a fraud scheme with an orthotics service provider; the provider has been sentenced to two years in a federal penitentiary plus three years on probation. With fraud still a major concern, some insurers have taken their fight against scammers to the next level. For Sun Life, the insurer has been employing data scientists and former police officers to serve as fraud investigators – currently nearly a hundred in force. One of these investigators, former police commander Gary Askin, told CBC News that the insurer uses state-of-the-art analytics to root out fraud – something that puts most other police forces to shame. “This [fraud analytics] is a resource I would’ve died for in policing, because we’ve got more data scientists working for Sun Life than any police service in the country – probably with the exception of the Mounties,” Askin remarked. Sun Life’s strategy appears to be paying off, if Sun Life Financial senior vice-president of group benefits Dave Jones is to be believed. Benefits fraud could be a tempting way to make money on the side, but Jones warned that it could hurt everyone involved. Money is not the only thing at stake when it comes to fraud, but lives as well, noted Green Shield Canada vice-president of service operations Brent Allen. “There are life-saving drugs available under these plans that can cost hundreds of thousands of dollars. And employers can’t afford to be paying hundreds of thousands of dollars for claims that aren’t real,” Allen pointed out.